This is any easy project, I sewed this one in 30min, pausing to take photos for this tutorial. 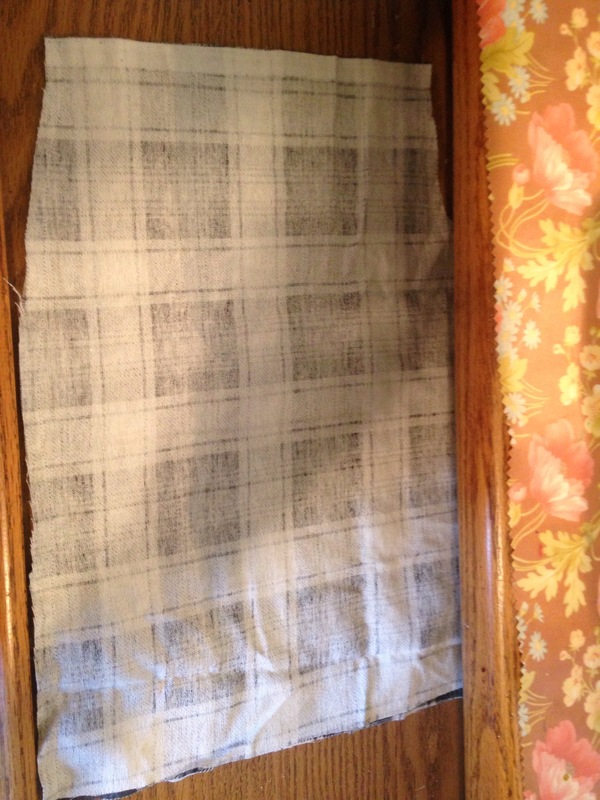 Fold your fabric in half, making it 9in x 15in. 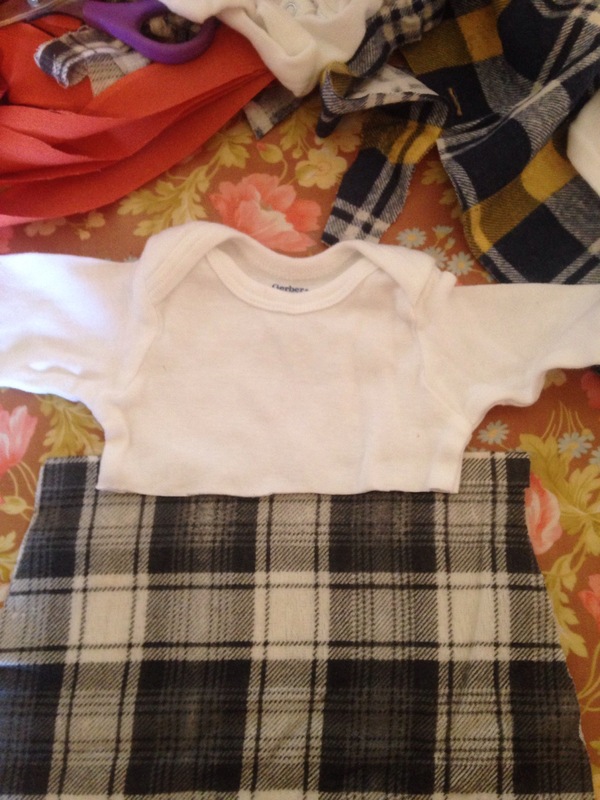 Lay your onesie on top and cut out a skirt of fabric. Leave 1/4in on each side where the skirt will match up with the onesie. Turn your skirt inside out and stitch up both sides. Cut your onesie in half. Just under the armpits. 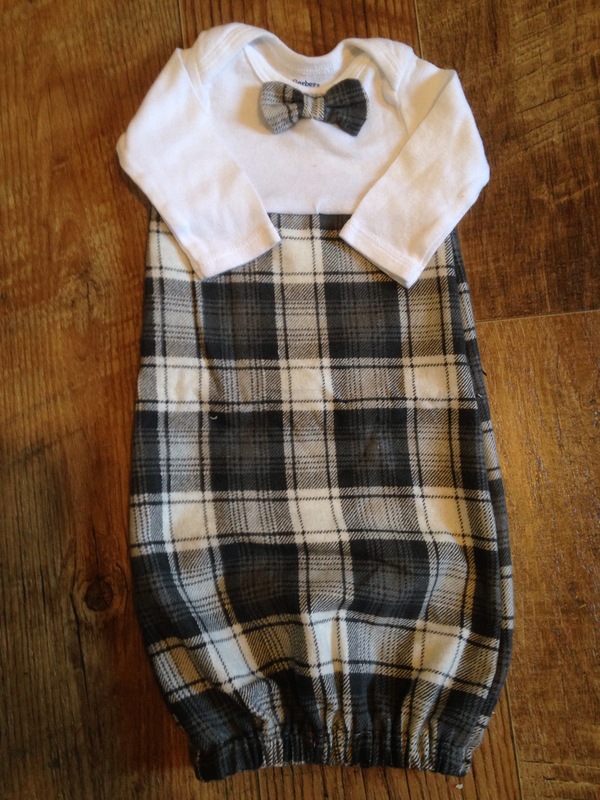 Be sure to leave 1/4 in to sew the skirt and onesie together. Slide your onesie inside the inside out skirt with the neck facing down. Pin and sew. 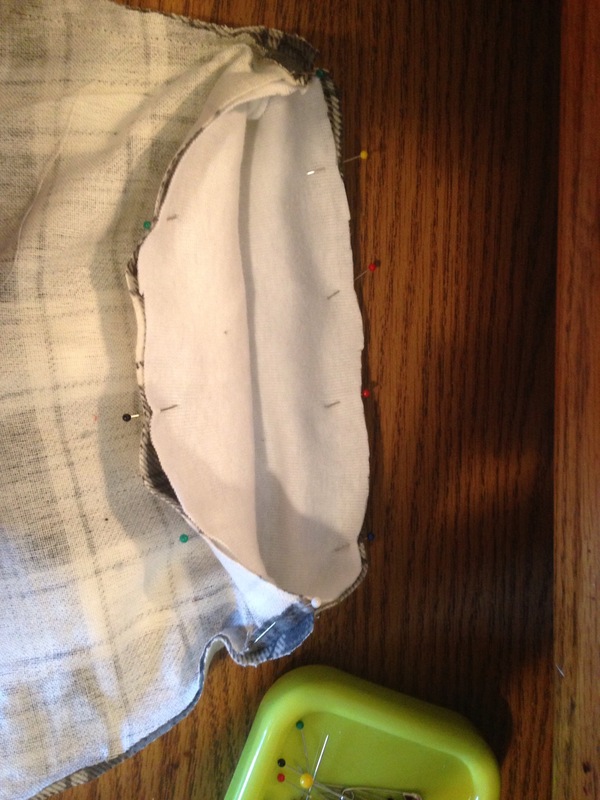 Turn the bottom edge of the skirt over making a casing. Pull your elastic through and close your casing. Turn right side out and add a bow tie. This was for a little boy so I wanted it to look manly. You could add buttons or leave it plain too.